Back as always for your Saturday morning, it’s Saturday Morning Sports Trivia. We love all of our fans for their minds so let’s put our sports knowledge to the test. For this week only, if you follow us @soft7sports on Twitter and like the SMST tweet, you will receive a Soft 7 Sports sticker. Let’s get into it. Where did Damian Lillard play his college basketball? Behind the Celtics and Lakers, what team has the most NBA titles? The latest NHL expansion award what city a new NHL franchise? What former NFL running back is nicknamed “the law firm”? Who was the first NFL running back to have 10+ carries and negative yards? What animal is the nickname of Arkansas State University athletic teams? How many NBA MVP awards does LeBron James have? Behind the New York Yankees, what MLB team has the most championships? Where were Dennis Smith Jr., DeAndre Jordan, and Wesley Matthews traded? And who did Dallas get in return? Luca Doncic is a native Slovenian, but what country did he play professional basketball the year before he came to the United States? 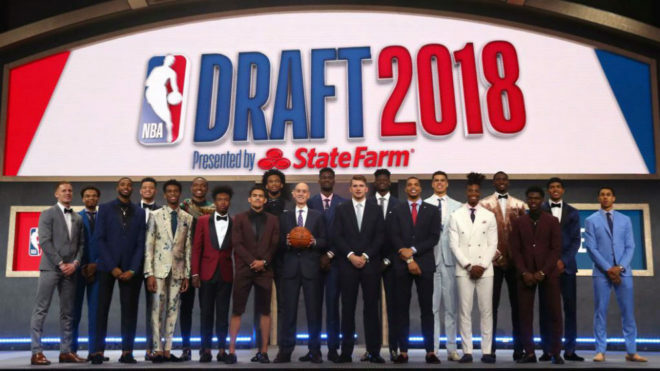 Put the top 10 draft picks from the 2018 NBA Draft in the correct order.